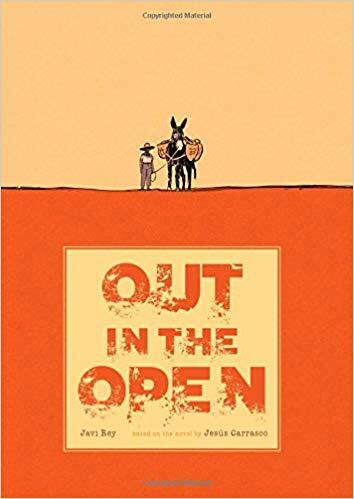 Out in the Open by Javi Rey, based on the novel by Jesús Carrasco. Translated from Spanish by Lawrence Schimel. 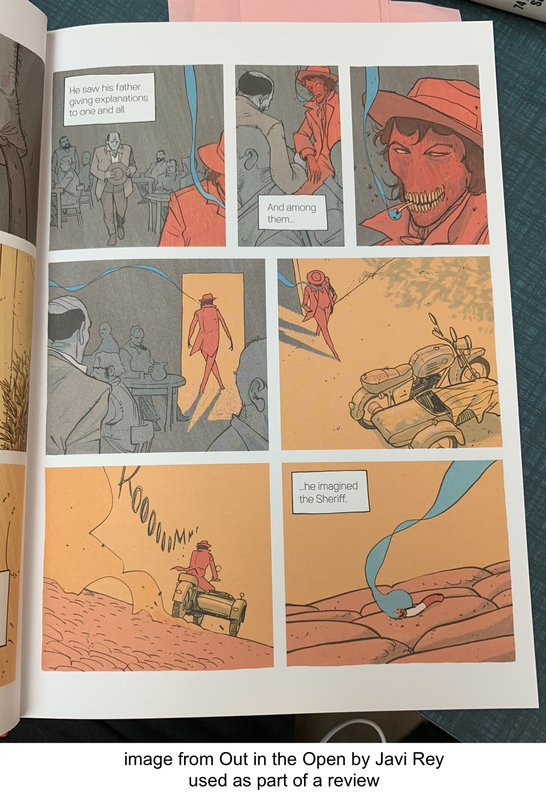 SelfMadehero, 2018. 9781910593479. A young boy flees his village in an attempt to escape the abuse and violence he suffers at the hands of his father and the local sheriff. Men pursue him across a dry wasteland, but luckily he meets a kind, old man who offers help. When the sheriff’s men catch up with them, the old man suffers. The colors Rey uses for the desert scenes made me feel the heat and dryness, and perfectly set up the hope-filled final scene.